New York natives Josh and Benny Safdie bring their affection for documentary-style realism and amoral characters to Good Time, a neon-glowing, electronic-scored crime story. If the poster hasn’t given it away, the Safdies draw from Martin Scorsese’s After Hours (1985), that frantic, anxiety-ridden classic about a deliriously upsetting overnight odyssey in what once was New York’s underground neighborhood of Soho. They also draw from Scorsese’s 1973 breakthrough Mean Streets, making a film that seems to exist in the misanthropic, never-stops-moving state of Robert De Niro’s unhinged Johnny Boy. Less darkly comedic than After Hours or guilt-ridden than Mean Streets, the Safdie’s sixth feature-length film is nonetheless a showcase of unseen locations in the city and the seemingly real-life people who inhabit them. The film also harbors a touching, albeit disturbing theme about oppressive familial love. From their agitated portrait of the urban sprawl to the nose-dive situation that takes the film’s central hustler from bad to worse, never easing-up on the tension, Good Time feels urgent for its duration, and nothing short of vital afterward. 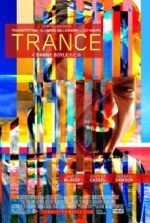 The title might be characterized by their earlier work, given that, by comparison, their latest proves to be their most entertaining film to date. After a series of short films about encounters and clashes in the city, the Safdie brothers released their 2008 debut feature The Pleasure of Being Robbed, a sort of streaming progression of one action leading to another without narrative consequence. Their 2009 follow-up Daddy Longlegs had the same handheld, on-the-scene visual style, while also boasting more of a story, about an unengaged father of two boys. Amid several short films, the Safdies followed their pseudo-vérité inclinations and next released two documentaries, Buttons (2011) and Lenny Cooke (2013). But their crusade for authenticity was better supplemented with drama. Heaven Knows What in 2014 returned the brothers to fiction filmmaking, for the most part, telling a gruelingly heroin-infused love story with dashes of documentary realism. Perhaps it goes without saying that each of their films are New York stories. 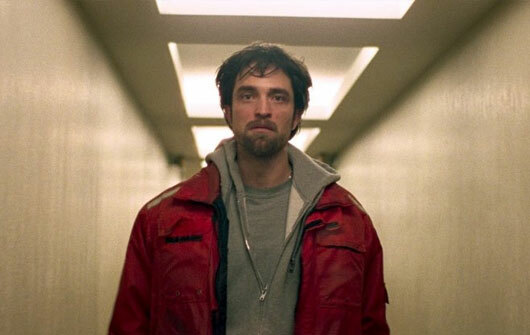 In Good Time, Robert Pattinson continues his post-Twilight career in his finest performance yet (and he’s given a number of great ones in Cosmopolis, The Rover, and The Lost City of Z). He stars as Connie Nikas, a scuzzy wheeler-dealer who specializes in finding ways to exploit people so they’ll give him what he needs. Connie jealously protects his developmentally disabled brother, Nick (Benny Safdie), but not in the good-hearted big brother way. In the first scene, Connie bursts into the office of a social-services psychologist (Peter Verby) trying to assess Nick’s mental state and, in a confronting scene, takes Nick for himself. 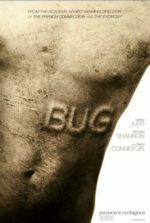 The sharp script by Josh Safdie and Ronald Bronstein subtly infers some kind of abuse in the family, perhaps explaining why Connie is so keen to protect his vulnerable brother. But Connie has less noble intentions driving him. He enlists Nick to help him carry out an unnervingly tense bank heist in broad daylight, each of them wearing rubber masks and hoodies to appear as black men, suggesting Connie’s exploitation of race in Donald Trump’s America (it won’t be his last). When their escape goes south, Connie evades police, while Nick is captured and given a nasty beating in prison. Connie’s frenzied mission: post Nick’s $10,000 bail. Most of the $65,000 from the heist has been stained by a dye pack, leaving Connie short. He turns to an unstable friend (Jennifer Jason Leigh) to pay with a credit card, but that falls through, as Nick has been moved from Riker’s Island to a hospital. Connie resolves to break Nick free of his guarded hospital bed. Later, his sweaty excursion lands him in the home a kindly stranger and her 16-year-old granddaughter, Crystal (Taliah Webster), whom Connie will happily seduce if it means the use of her grandmother’s car. Bleached hair, a rinky-dink amusement park visit, a soda bottle full of psychedelics, and a shockingly unpredictable twist cannot slow Connie. No matter how far the next hurdle takes him from his mission, he remains supremely confident and forward-moving. Connie functions like a stop-and-he’ll-die shark, running through life, unapologetic for the constant mooching his momentum requires. “I think something very important is happening and it’s deeply connected to my purpose,” he explains with total disregard for everyone else around him. The Safdies direct the film at a similar pitch. The pulsating electronic score by Oneohtrix Point Never (aka Daniel Lopatin) recalls that wonderful Tangerine Dream music from 1980s films like Michael Mann’s Thief (1981) or Kathryn Bigelow’s Near Dark (1987), further suggesting the night’s surreal, race-for-time adventure. 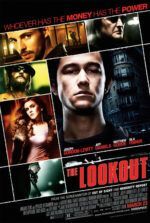 Sean Price Williams’ gritty cinematography captures Pattison and his costars from across streets or looking down from a building window, often shooting in a guerilla-style and without a permit. Fluorescent colors saturate the Safdies’ aesthetic, whether from a blacklit psycho-sexual horror ride at an empty amusement park or the glow of a television in a darkened room (playing on the TV, an episode of Cops, a show often accused of classism and racial profiling, and an apparent influence on the filmmakers). When Connie gives an outstanding little speech in the apartment of a man whose identity he’s stolen, he insults a fellow criminal, passing judgment and positioning himself above, well, everyone. Connie’s white privilege allows him to feed off of others, sustaining his morally corrupt propulsion through the night, leaving several black victims in his wake, either milked dry for a favor or in handcuffs (or both). Whether these subtextual flourishes were intended by the filmmakers or not remains unimportant; through the Safdies’ portrait of their seedy New York character, they have, by extension, captured a germane look at present-day America. 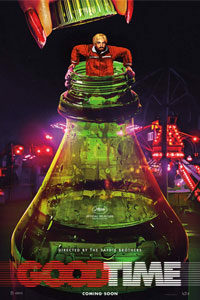 Finally, Good Time‘s end credits feature a somber original song by Iggy Pop, called “The Pure and the Damned.” The song’s fitting title may be the Safdies’ final judgment of Connie, insisting that the viewer remain in their seats for the duration of the credits—first to absorb haggard and intimate voice behind the music, and second to decompress from the delirious experience we’ve just endured.